New product launches are always the big event at the Baselworld watch show. Eagerly awaited by both professionals and the general public, they captivate everyone’s attention. LVMH Watches and Jewelry Houses once again more than lived up to expectations, unveiling often exclusive and always dazzling timepiece creations. 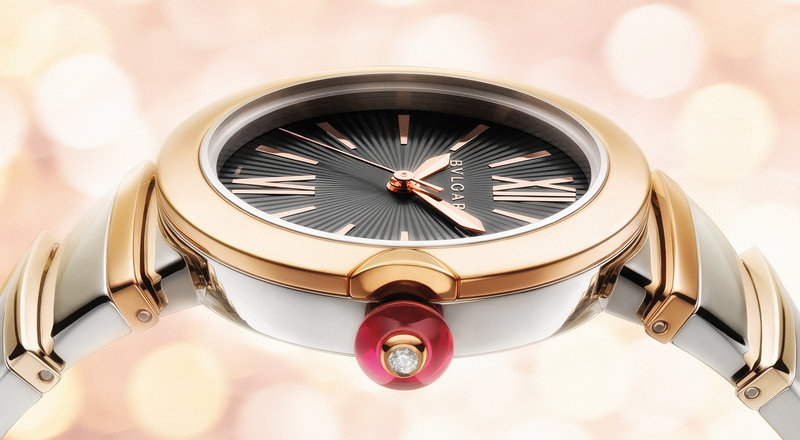 Bathed in sunlight, Bulgari’s new Lucea timepiece for women is a stunningly beautiful creation. Inspired by ancient sundials, the watch echoes past civilizations while reconnecting with the heritage of the Roman house. Light is intimately linked to the body’s biological rhythms and synonymous with reinvention, a silent witness to the passage of time. The Lucea watch features a rounded case that discreetly contrasts with the resolutely architectured band. 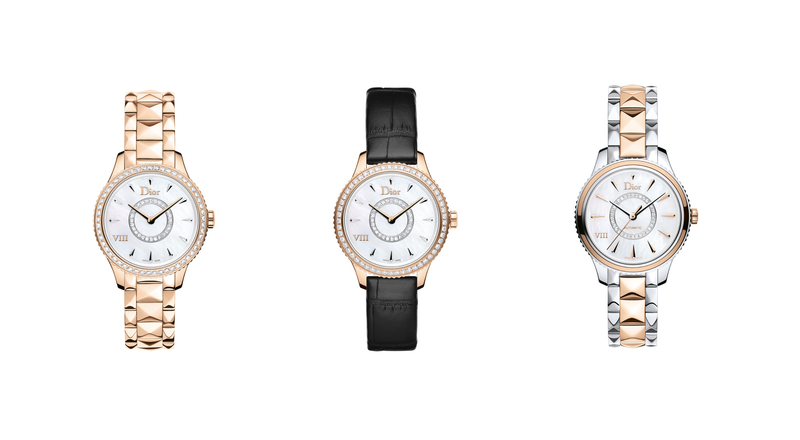 The line has twelve different styles, from classic steel to pink gold and pavé diamonds. To celebrate the 10th anniversary of the Monaco V4, TAG Heuer delighted fans of the mythic timepiece by unveiling its Monaco V4 Tourbillon. Again inspired by the cylinders of a Formula One race car engine, this concentrate of high-performance watchmaking prowess literally amazed Baselworld attendees, even though they are no strangers to innovation. The iconic complication is a complex assembly designed to defy gravity, significantly improving the precision of mechanical timepieces. Entirely made and assembled at the TAG Heuer manufacture in la Chaux-de-Fonds, Switzerland, this watchmaking feat propelled the Swiss House to center stage. Hublot took its art of fusion to new heights at Baselworld, introducing the new Classic Fusion Firmament with a dial made entirely of osmium crystals, the densest and rarest natural element on the planet. This is the first time that this metal—recognized by its distinctive bluish celestial sparkle—has been used in watchmaking. Osmium is part of the platinum family. 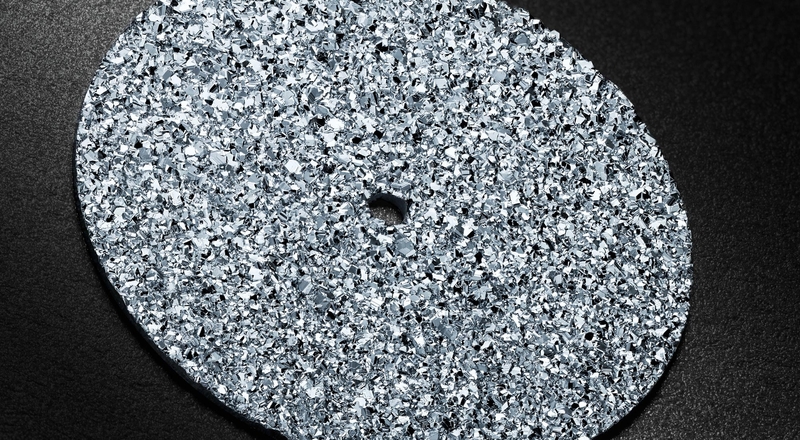 The material was developed exclusively by Hublot in collaboration with a Swiss laboratory that was able to bring osmium to its melting point and thus transform it into minuscule crystals. In this compact crystalline form it becomes inalterable in air and its brilliance will never fade. Zenith’s El Primero movement—the world’s first automatic chronograph—has sparked desire since its creation, a true benchmark of watchmaking excellence. 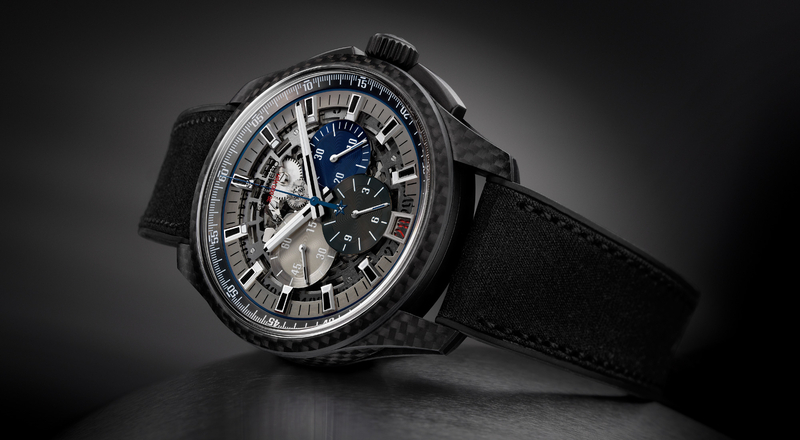 At this year’s Baselworld Zenith introduced a featherweight version of its legendary timepiece with 1/10th of a second accuracy, the El Primero Lightweight. 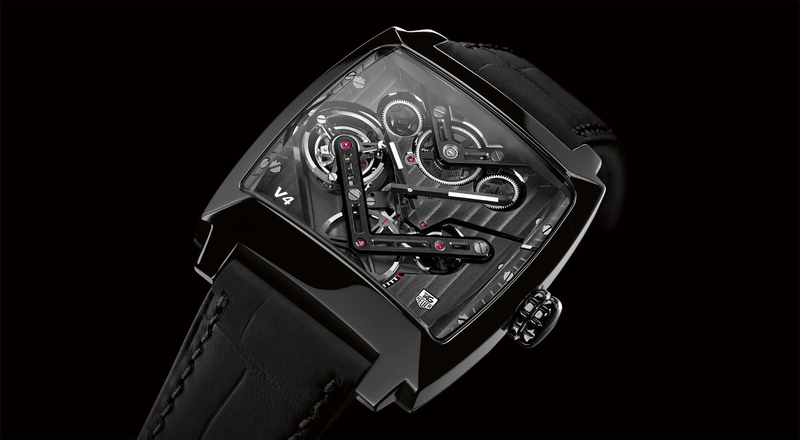 The sporty avant-garde watch is 25% lighter thanks to the use of high-tech materials. The carbon case and skeletonized dial and openwork disc-type date display push the boundaries of performance and original design. Zenith unveiled a striking blend of lightness, audacity and innovation with this exclusive chronograph, made in a 250-piece limited edition. The new Emprise collection from Louis Vuitton is inspired by the House’s emblematic trunk, a travel item crafted like a work of art. Metal corner caps, locks and studs borrow from the aesthetic vocabulary of a utilitarian accessory that has become synonymous with chic exploration. Exquisitely Parisian, the watch boasts balanced volumes for a contemporary and ultra-feminine look. The sober elegance is accentuated by the simple dial which has no numbers, only the sleek LV initials at 5 o’clock. 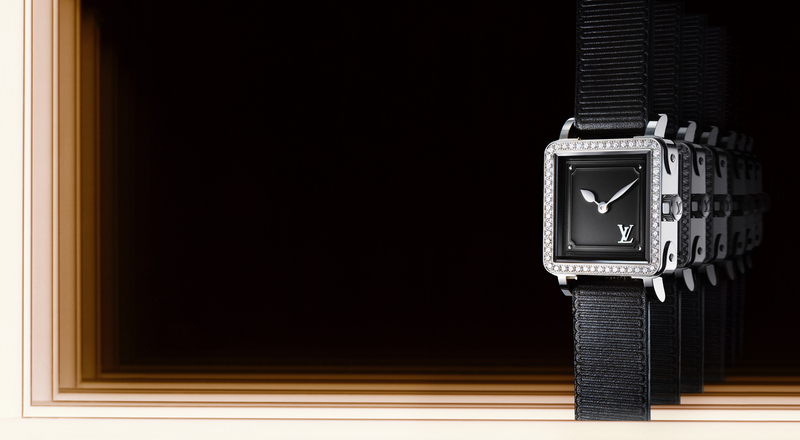 Sparkling diamonds on some models embellish the square symmetrical silhouette of the case. Another new release that drew considerable attention from industry insiders and the general public at Baselworld was the Dior VIII Montaigne, inspired by the legendary couturier’s lucky number. The architectured lines mischievously reference the mythic Dior bar suit. A veritable goldmine of references to the House’s DNA, each detail expresses the couturier’s attention to minute details, from the back of the case—treated with the same care as the lining of a dress—to the refined detailing of the dial. In true couture style, the watches in the collection are worn as jewels. Grey steel complements the warmth of pink gold. The number VIII also evokes the historic address of a house that symbolizes inimitable French art de vivre.